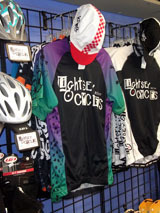 Featuring clothing from Louis Garneau. 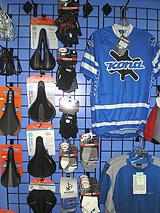 We carry bike shorts and jerseys for women and men. Helmets and gloves available for children also. 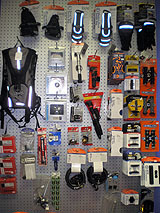 We carry water bottles, pumps, Lights, Sigma computers, Pedros chain lubes, bells, bike racks, locks, saddles, seatbags, brake pads, and a wide variety of Michelin Tires. Looking for something special? 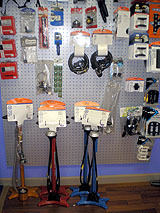 Shimano? Sram? Park? a basket? let us know and we'll do our best to help you find what you are looking for. We at Lightsey cycles support all our female bike enthusiasts and we welcome any suggestions. 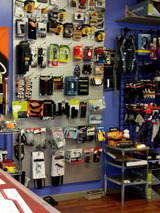 Striving to be your specialists in women specific cycles and gear. We fully welcome your feedback! 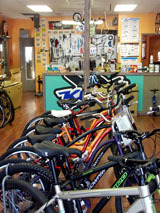 Help us make Lightsey Cycles your bikeshop for all your needs! Please call us at: 845-255-0888, or use the Contact Page to get more information.